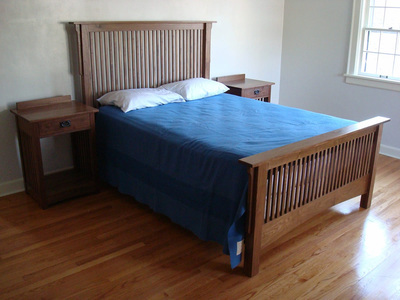 This quartersawn white oak mission bedroom set was based on existing designs brought to me by my client. 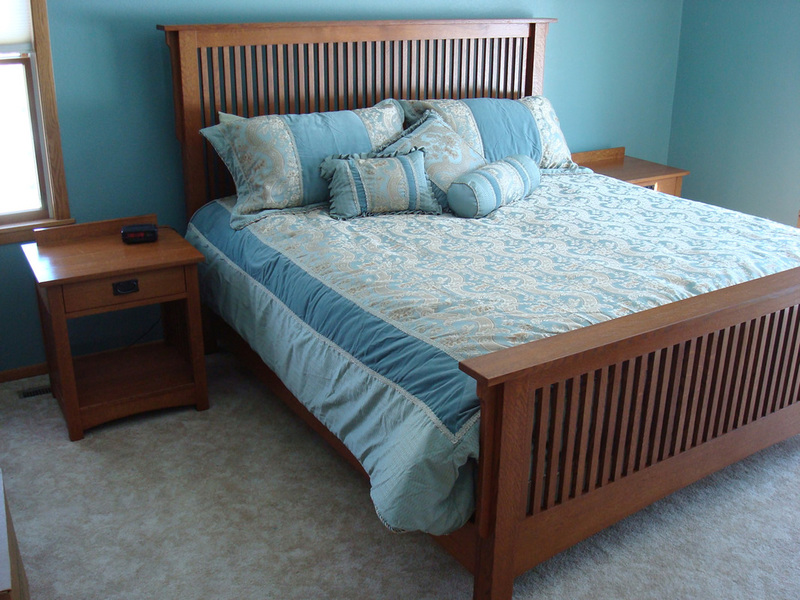 I then custom built the pieces according to his desires in regard to wood choice, finish, hardware and some modifications made to the bed to work with the adjustable bed set he already had. 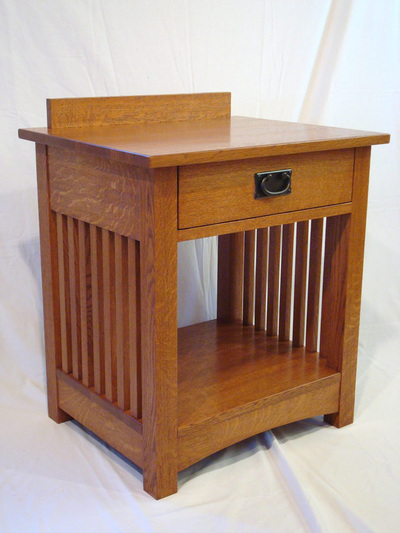 The nightstands feature dovetailed drawers with heavy duty ball bearing drawer slides. Please feel free to read his testimonial below. The pieces are hand finished with a urethane gel stain, multiple layers of oil polyurethane and rubbed out with wax. If you are interested in these pieces or something like them, feel free to contact me, and I would be happy to give you a price quote and discuss the many options available. This black walnut mission bedroom set was based on the design of the quartersawn white oak bedroom set I had built previously. My client and I were discussing staining quartersawn white oak to match the dark walnut stain color of her existing bedroom furniture. I suggested that we use black walnut instead. Not only would I not have to stain the wood (I prefer to let the wood's natural beauty shine through whenever possible), but the piece would utilize what I think is one of the most beautiful domestic hardwoods. My client liked the idea, and we were both happy with the results. 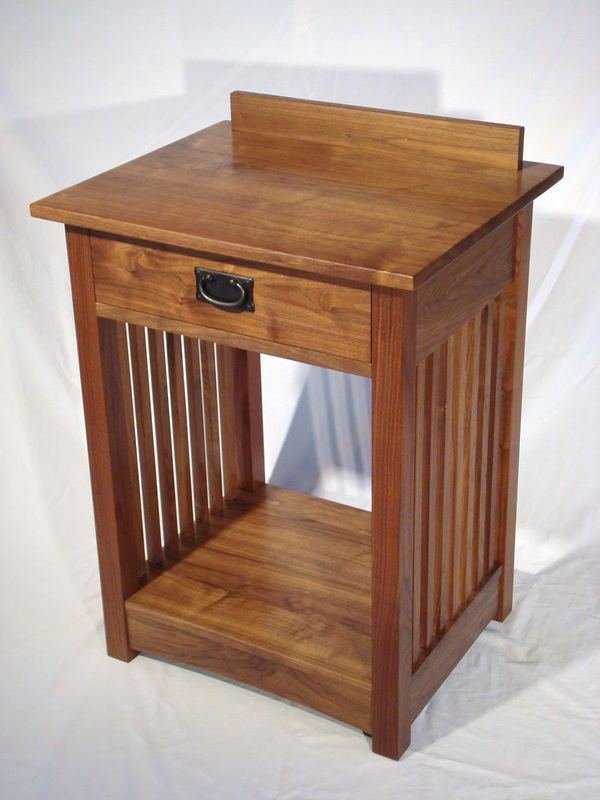 The nightstands feature dovetailed drawers with hidden under mount ball bearing drawer slides with a nice soft-close feature. The pieces are hand finished with multiple layers of oil polyurethane to highlight the figure of the wood and provide maximum protection.